Number 6 in my graphic 45 a place in time march cut outs series.I used Stampin Up garden green cardstock, and some bazil which I punched with Martha stewart lace doily punch, and also used some to matt the main image. 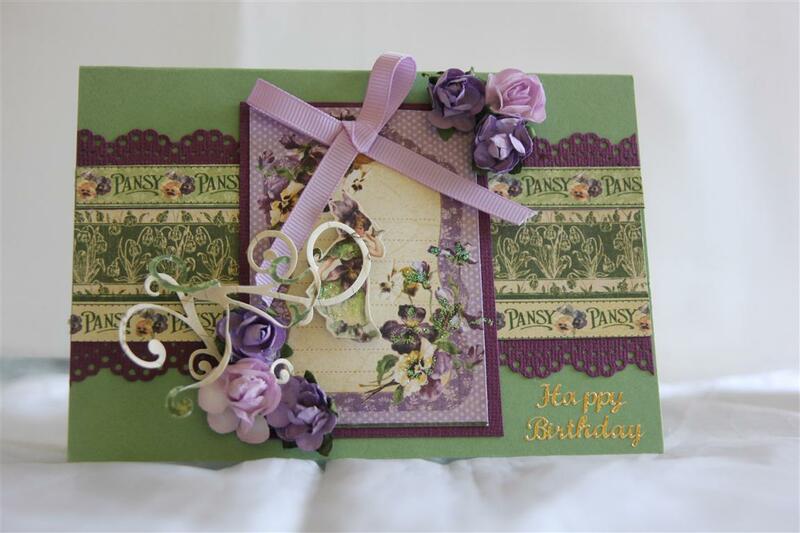 A strip of the reverse side of the paper, some flowers and ribbon , bit of fussy cutting the fairy image and this is a great card for a young lady! Again very hot here today, I have been busy making sme boxes to put my cards in to, but will pack up now and cool off under the air conditioner..Til tomorrow….